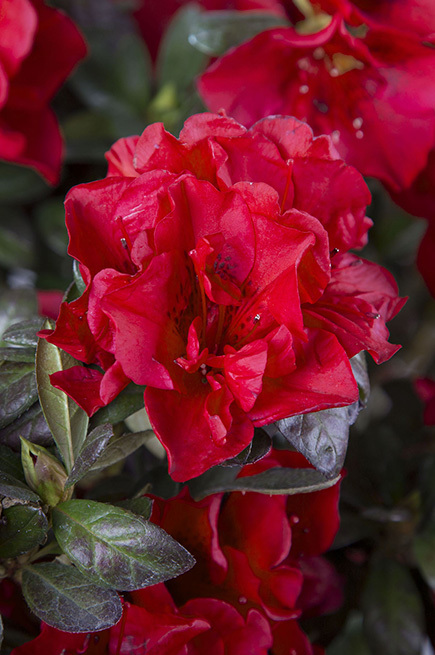 This dwarf azalea packs a powerful punch of rich, true red color with semi-double velvety blooms. Its glossy, dark green foliage deepens to a saturated purple bronze in winter adding year round appeal to gardens. 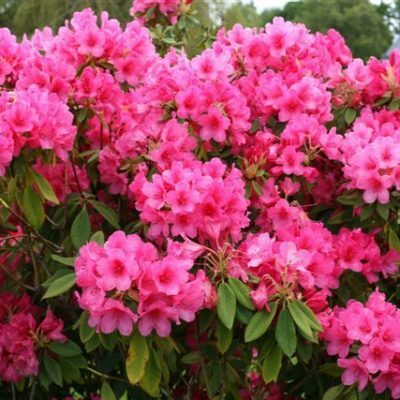 Best grown in acidic, organically rich, humusy, medium moisture, moisture-retentive but well-drained soils in part shade. Prefers a sun dappled or high open shade. Morning sun with afternoon shade is also acceptable. Plant in a location protected from strong winds. 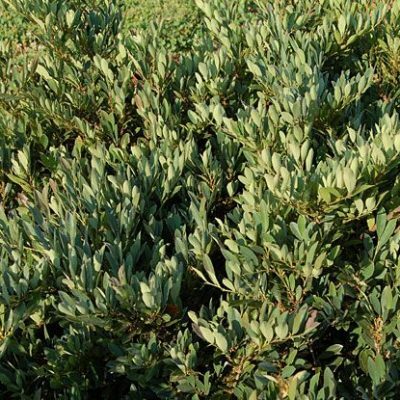 Plants perform well on north or east facing slopes. 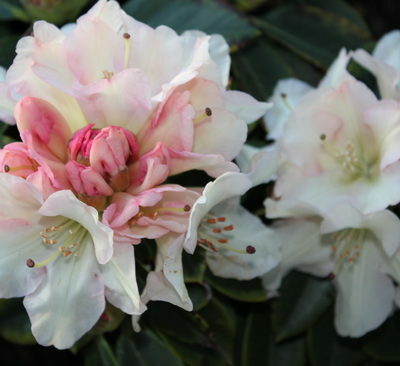 Do not site plants within or near the drip line of trees in the walnut family (most rhododendrons/azaleas are sensitive to toxic juglones produced by roots of walnuts, butternuts, pecans and hickories). Good soil drainage is essential (plants do not like ?wet feet?). Poor drainage inevitably leads to root rot, therefore raised beds/plantings should be considered in heavy clay soils. Shallow, fibrous root systems (do not cultivate around plants) will benefit greatly from a mulch (e.g., wood chips, bark or pine needles) to help retain moisture and stabilize soil temperatures. Roots must never be allowed to dry out. Acidify soils as needed (plants generally like soil pH in the range of 5.0 to 5.5). Add sulfur or iron sulfate to soils to lower the pH. Add limestone or lime to soils to raise the pH. 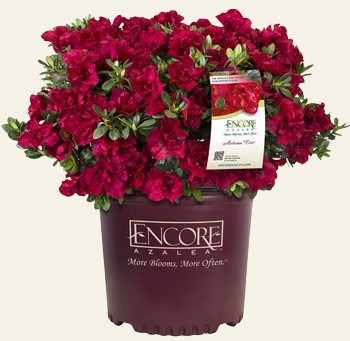 Clip off spent flower clusters immediately after bloom as practicable.